After the events of September 11th 2001, Isaiah decided to do his part in protecting the American way of life. He enlisted in the Navy and spent his entire 9 year career on a SEAL Team. Deploying in support of the Global War On Terror (GWOT) and Operation Iraqi Freedom (OIF). After returning from his combat deployments he spent the remainder of his Naval service with the Navy Parachute Team (the Leapfrogs). When Isaiah separated from the Navy he co-founded the Patriot Parachute Team in an effort to inspire the next generation to do amazing things. Passionate about business and aviation, he is also a pilot. Matt is retired from the Air Force, having started and ended his career at the USAF Academy with the Air Force Parachute Team, the Wings of Blue. After graduating, he initially served four years as a Combat Control Team/Special Tactics Officer (STO) before attending pilot training and going on to fly the F-15C Eagle, F-4 Phantom, Global Express, and Twin Otter. He now flies for a major airline. Eric currently works as a full time instructor at the Navy Freefall school in San Diego, California. After a brief time working in corporate accounting he realized that skydiving and training the men and women that serve our military was his true passion. Eric made his first jump on his 18th birthday and became an instructor by the time he was 20 years old. Now, as a civilian contractor, Eric is a fully qualified instructor, videographer, and FAA certified Senior Parachute Rigger. Eric is tasked with performing every position on the team including packing and maintaining the Patriot Parachute Team’s reserve parachutes. Eppie an active duty NAVY Senior Chief. He entered the NAVY in July of 2002 and became Military Free Fall qualified in 2004. He was a member of the NAVY parachute team from 2010 to 2013 and has acquired over 3500 total jumps. Chad has been involved with the Navy Special Warfare training program for nearly a decade. In addition, Chad has had the privilege of working with the US Marines, Air Force PJ’s, British & Swedish Special Force Units, and Navy EOD. Human flight has been in Chad’s veins since birth. He comes from a spirited lineage of pilots who have shared the freedom of flight and ingrained a deep respect for the sky. This drive to ascend has manifested itself into a love of skydiving and a passion to share this dream with others. 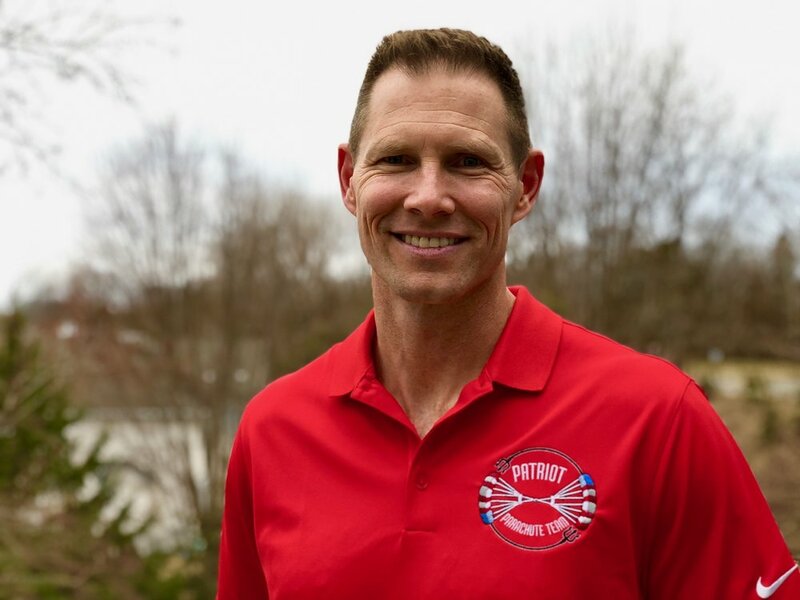 A graduate of the Naval Academy, Larry served in the U.S. Navy for 10 years during multiple combat deployments as an officer in charge of a SEAL platoon. A serial entrepenuer, Larry continues to redefine what it means to lead from the front. Nick Kush retired from the Navy in 2016 after serving 20 years in the Special Operations community with several combat tours to Iraq and Afghanistan as an Explosive Ordnance Technician with the SEAL Teams. After retiring, he spent nearly two years training Special Operations personnel in advanced parachute flight. Nick has approximately 8200 jumps and currently performs R&D for a premier parachute manufacturer in Deland, Florida. Gie worked in various capacities in public safety for 13 years. He started as a cadet at Columbia Heights Fire Department at the age of 14, and later served there as paid-on call for 5 years. Additionally he worked as a 911 & Critical Care EMT for Allina EMS for 8 years, and was a Minneapolis Police Officer. He briefly served in the US Navy before being medically separated in boot camp.